Get a clear advantage with Valpak of Charlottesville’s small business marketing solutions. Thousands of prequalified households in the city and surrounding counties open The Blue Envelope® of savings every month. They are looking for businesses like yours! Stand out with our direct mail products. Your business marketing in Charlottesville also needs a powerful digital presence to stay competitive. As a Google Premier Partner, we can reinforce your brand recognition online with web design services and more. Valpak of Charlottesville can help you achieve maximum ROI on your advertising spend with state-of-the-art tracking tools. Call tracking and performance tracking offer different levels of consumer engagement analysis. With a unique URL and phone number, you always know exactly where your traffic is coming from. Valpak of Charlottesville is a full-service small business advertising company devoted to connecting people with local companies. We have the experience and technology to put your business name in the hands of up to 60,000 qualified households. We serve Charlottesville as well as surrounding Virginia cities including Palmyra, Ruckersville, Crozet and Scottsville. For specific dates and coverage, contact your Valpak of Charlottesville representative. 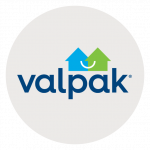 Valpak of Charlottesville is an independently owned Valpak franchise.